Read our Spring 2017 issue of Bethesda Life - click here. 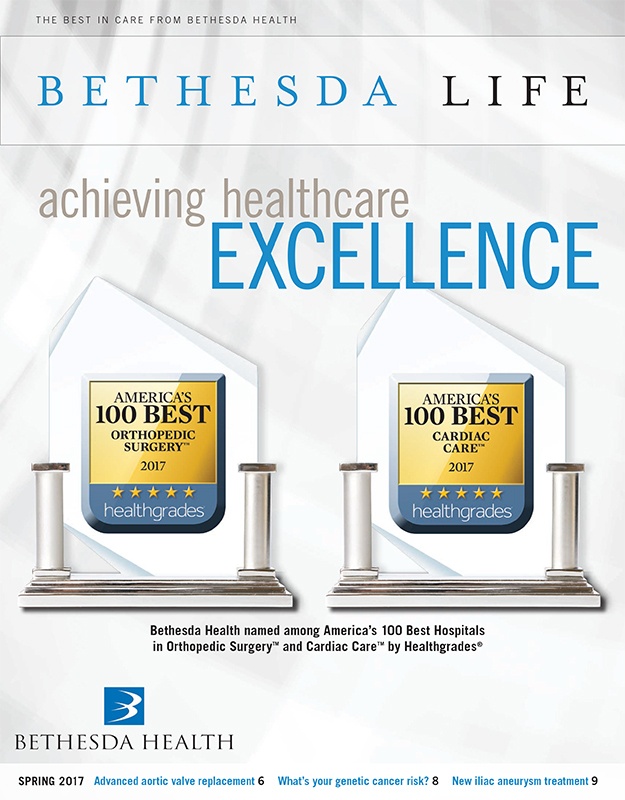 "Making the Grade" - Bethesda Health is nationally recognized by Healthgrades®. "Technology with Heart" -TAVR is a minimally invasive procedure to replace aortic valves. "Is It In My Genes" - Genetic testing can help you understand your cancer risk. "Superior Solutions" - Raising the bar in the minimally invasive treatment of aneurysms. Bethesda Ball benefits Bethesda Heart Hospital.